Please find below some of the frequently asked questions (FAQs) including details on opening hours, ticket prices and more. Can I bring my dog to Springtime Live? 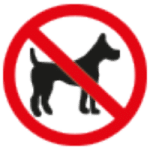 Although we love dogs, we operate a strict no dog’s policy for visitors (apart from assistance dogs or those competing). Do I need to book activities for my children to take part in? A small number of workshops run a booking system due to the nature of their activity, which are listed below. Each of these workshops will offer timeslots throughout the day which you can book on to. These workshops will take bookings at their own stands which are all in the main Hall 1. Bookings for the morning sessions will open at 9am and bookings for the afternoon sessions will open at 12noon, please go to the activity stands to book. These activities will also have a number of places for walk-ups at each session, therefore if you haven’t been able to book a place you can wait for a walk up place. Please arrive on time for your booked slot or your place will be given to someone else. What are the opening times for Springtime Live? Where can I buy tickets for Springtime Live? Tickets for Springtime Live 2019 are available to purchase online from 15th February 2019 (until 12 noon on Friday 12th April). Tickets can also be purchased, in person, from Fodder farm shop and café and the Yorkshire Agricultural Society offices on the Showground until 12th February. NB: Due to the popularity of this event tickets can only be purchased in advance and will not be available to purchase on the day. Do I have to pay for any of the activities at Springtime Live? All activities at Springtime Live are FREE of charge. All you need to do is buy your tickets to get in! What is the date for Springtime Live 2019? Do members of the Yorkshire Agricultural Society get in FREE to Springtime Live? This is not a free event for Yorkshire Agricultural Society Members. Tickets need to be purchased to gain entry. Is Springtime Live pushchair friendly? Most of the activities at Springtime Live are held either undercover, or on hard standing. There are also plenty of pathways and access ramps to all structures. There will be pram park locations where you can leave your pushchair whilst taking part in activities or watching the stage show. All property is left at owners risk please take valuable items with you. What footwear should I wear to Springtime Live? Most of the activities at Springtime Live are held either undercover, or on hard standing. However, some activities do take place on grassy areas. Car Parking is also located in a field on the perimeter of the Showground. Do you offer group discounts on tickets for Springtime Live? Group discounts are available for groups of 15+. For more details contact Sally Wall or call 01423 546218. Will there be catering outlets at Springtime Live? Catering outlets will be available at Springtime Live, offering a variety of food and drink for our visitors. We do not have a cash machine on site, however there will be a cash back service at the Information Point in Hall 1, where a small purchase will be required. The cafes do take card payments however some of the mobile catering units only take cash. A number of the shopping trade stands will take card payments however some will be cash only. The nearest cash machine is at Sainsburys at the entrance to the showground. What is the date for Springtime Live 2020? Springtime Live will be held on Saturday 28th March 2020. Where will I find or report lost property? Lost property will be collected at the Information Point in Hall 1 foyer. If you realise you have lost an item after the event please call 01423 541000 to enquire if we have found it. Where will I find the lost children point? If you lose a child or find a child who is lost please go to the Information Point in Hall 1 foyer. Can I use public transport to get to Springtime Live? Rail – Hornbeam Park Station is the closest, where you can walk to the event using the Showground Greenway (appox 20 minute walk). Alternatively, there is a taxi rank outside the front of Harrogate Railway Station. NB: Visitors will need to walk from the bus stop to the main entrance gate, which is located off Hookstone Wood Road next to Harrogate Squash & Fitness Centre.